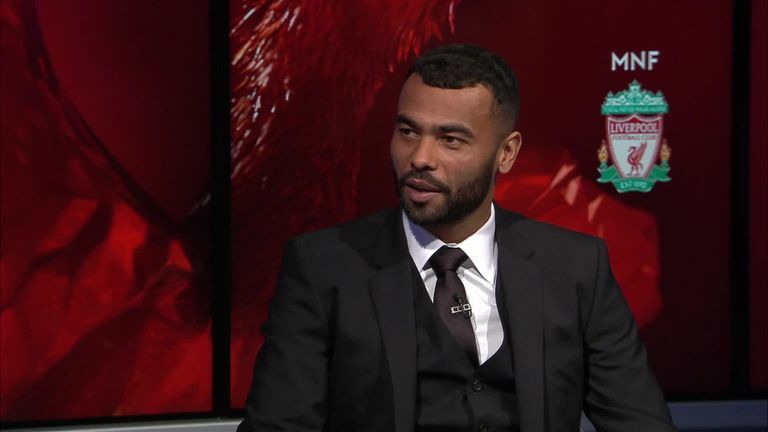 Ashley Cole shared insights from his career on Monday Night Football, discussing his departure from Arsenal, the Chelsea years and more. Cole recently returned to England after a stint at LA Galaxy, signing for Derby County - managed by his former Chelsea team-mate Frank Lampard - and joined Jamie Carragher and Dave Jones to chat about his career. I was young, naive, stupid but it was something I felt I had to do. The way I acted I was a little bit stubborn at the time. Maybe I should have sat down with a few more people at the time and gone through it with an ice cool head. I was a bit hot-headed and didn't realise what I was doing at the time but I don't regret it. When I look back now I think it was something that was maybe meant to happen. It's still there [the way Cole was treated by Arsenal fans]. It hurt me because it wasn't just my fault. I didn't leave for no reason. I didn't go to Arsene Wenger and say 'today I want to leave' there was more to it. It happens in football and I see it happen to a lot of other players. It's life. I moved on and they moved on but I do feel sometimes a bit sad because it was my club and I played there since I was nine but to have that ill feeling from the fans still is hard sometimes. It was great. I had Henry that would peel out to the left wing and then Robert would get inside and I would overlap or if I was underlapping we had that kind of connection. It was a pleasure to play with him. Go round him and see what happens. They would always find you with great balls. We didn't do team training in patterns. It was 'play what you see' and I always liked to make that run in behind. I always seemed to alone in the box and so I would put a ball across and let them tap it in. I don't think he's under pressure just yet. He's come into a team and tried to put his philosophy there and I think it is down to the players as well, they've got to react and understand how he wants them to play. I watched 'Sarri ball' at Napoli when I was in Italy and the football they played from the back with the goalkeeper was amazing. Now, all the players have got to get on board with that. I think it boils down to confidence. The Napoli players knew how he wanted them to play, they had the confidence to play it out of the back and they went with the philosophy. With Chelsea, some of the players have to get with it sooner rather than later but he's definitely a great manager. In terms of the players, if they win a few games then everything is rosy again. On recent results, top four wouldn't be enough. 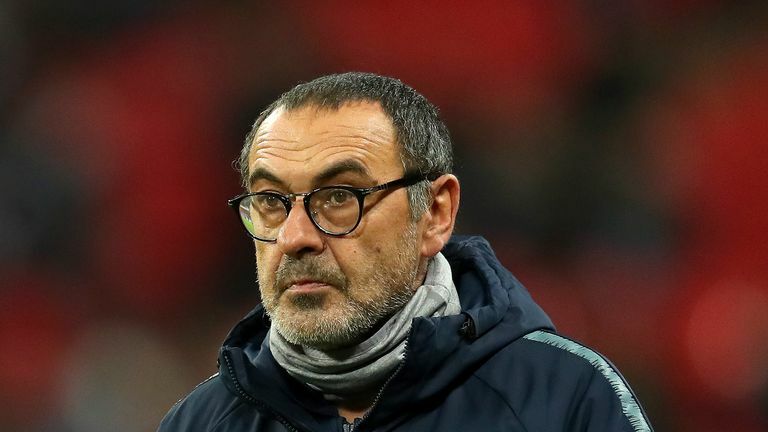 Sarri needs to get a little bit of time. I think he can bring that exciting, Italian football to England with Chelsea but they have to be on board a little bit as well. I enjoyed [Luiz Felipe] Scolari and [Carlo] Ancelotti - they're probably my favourite two. 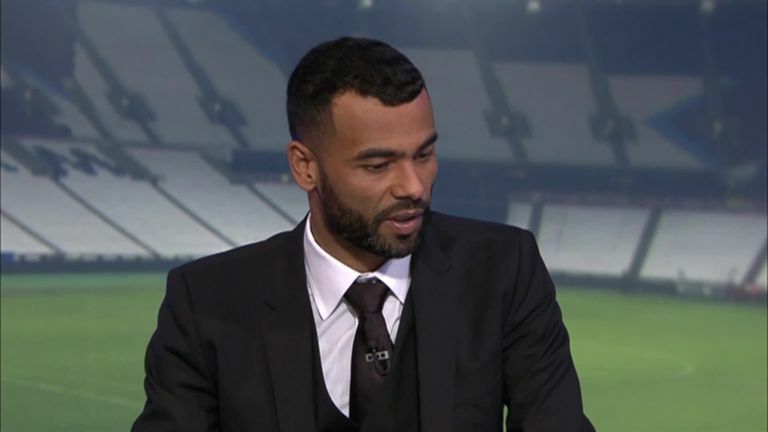 Scolari came at a time where I probably wasn't playing as well as I knew I could when I first came to Chelsea, and the fans will agree with me that I wasn't the Ashley Cole they knew at Arsenal. He came and brought this new lease of life, it was just like playing for Brazil. He had me bombing up and down against people like Jamie Carragher and Jose Bosingwa on the other side. We had no rules in terms of we could go and play where we wanted, the left and right backs were going at the same time, which is unheard of at times and we were playing some great football. By December, we petered out and after that, he got the sack. It was the best football we played in a Chelsea shirt but he got the sack six months later. Chelsea need Hazard to be on top form in every game - I don't know if it's a good thing or bad thing because you want more of the other players to step up their game but I think if Hazard gets injured, it will be difficult for Chelsea to keep fighting for the top four. He's got to be up here in the top three or four. 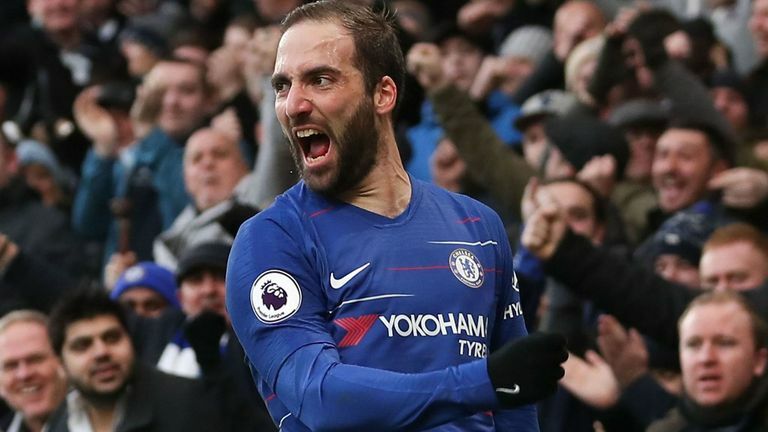 What he can do with the ball, in training you wouldn't think it, he has his hands in his pockets and his laces undone, but when he gets on the pitch on a Saturday afternoon, he is electric. He can go left, he can go right, at times he is unplayable. I think he is a big player for them and you need him to keep firing on all cylinders. As players, you don't get involved in that [managerial changes] or think about it too much. You're there to win, regardless of which manager it is, you've got to do your job first and foremost. When you look at it, we won in the first year with a lot of managers and then in the second year there was a little dip and consequently, the manager ended up getting the sack, which is kind of sad really. I don't think players are involved in big decisions like that, it's always down to the owner, Roman [Abramovich], who for me, has been one of the greatest owners of a club in Premier League history. He has always backed the managers with money when they have wanted to buy players but that comes with expectations, you have to win. I was never consulted, I just got on with my job, I was there to play football, not to talk about which manager was coming in. You're at Chelsea to win. I got that vibe when I first got to the club, Jose was there and he had done a great job two years before when he won the league and then six months to a year later, he got the sack. We took maybe one of the greatest managers ever and within two or three years of me being there, he was getting the sack. It's ruthless, but as an owner, you want to win. The owner didn't think he could get the results or play the way he wanted to play and that was it, he was gone. Chelsea always want to buy new players, they're always willing to invest but that comes with a consequence of if you don't win, you're out. I still love the game. I got player of the year last season at LA Galaxy and I still felt good and fit. The opportunity came along where I thought 'I've got a lot to give' and here I am. I had a little conversation with Frank [Lampard] and he knows how I am and that I wanted to come back and play. The young left-back there decided to go on loan, he gave me the message and I jumped at the chance to be back playing in England, especially for Lampard - or should I say gaffer now? I'm looking forward to getting out there and getting back to English football. I'm fit enough. I've worked for the last two and half weeks alone, running and doing double sessions, and this week, I will join the team again so hopefully this weekend, I can be in contention. 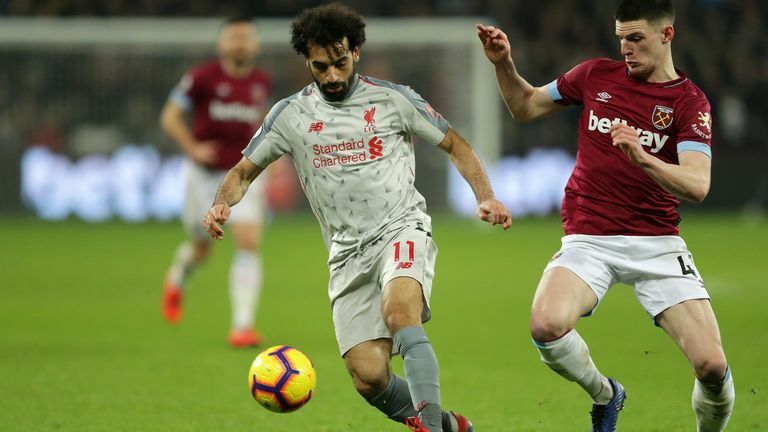 I think it was always going to be a difficult game for Liverpool tonight, missing important players, but I think you have to give West Ham credit. They defended well, worked hard as a team, as a unit, got around Liverpool's star players and didn't give them time on the ball. Credit to Manuel Pellegrini because I think they deserved the point tonight, if not all three. There are still a lot of games to go. If you get down to the single figures, you'll see who's close and then that's when the strong mentality comes in and you know you have to fight and give everything to win because you're fighting for the title. They should be nervous - it's normal and it's what makes us want to play and makes us want to win. You need the nerves. I think being a young kid from east London, where I grew up, to play for my boyhood club, Arsenal, and then get a chance to win a Premier League medal, that is the honour I enjoy. It is probably number one in my medal list. I've given a few England caps away to friends and family but to come from where I grew up, to play one game for England was brilliant and to get 107 caps is a dream.